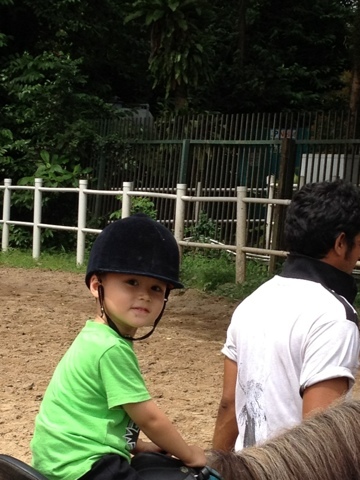 Across 2 Cultures - Cross-Culture Parenting and Lifestyle Blog: Horse riding fun! 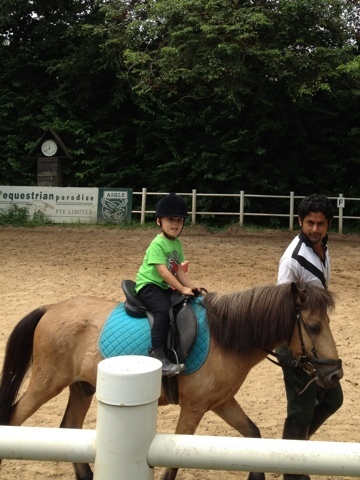 Laetitia and I were taking the 30mins semi private lesson and Loic was going to do a 20mins guided pony ride. We had lots of fun and Loic thoroughly enjoyed himself too. 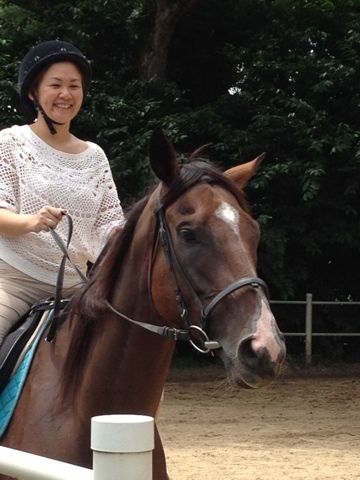 He asked to go pony riding again the moment he saw me when I finished our session. Laetitia did have fun too but I suspect it was a little less interesting compared to her school's horse-riding camp in Rider's Lodge in Malaysia. 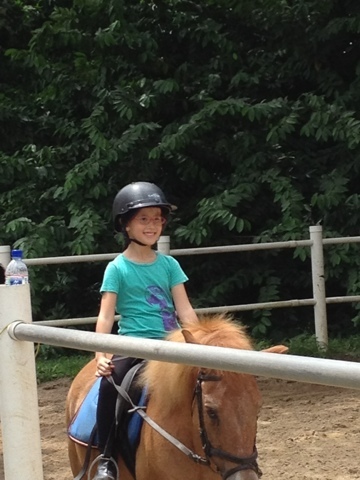 She was able to ride a horse rather than a pony then. Therefore comparatively. A pony would seem less intimidating. 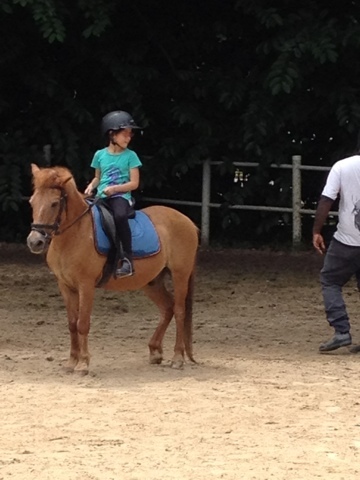 Here's the kids and I on my ponies and horse respectively.